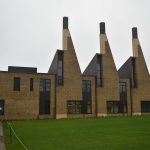 Founded in 1611, Charterhouse is one of the greatest historic public schools in England. 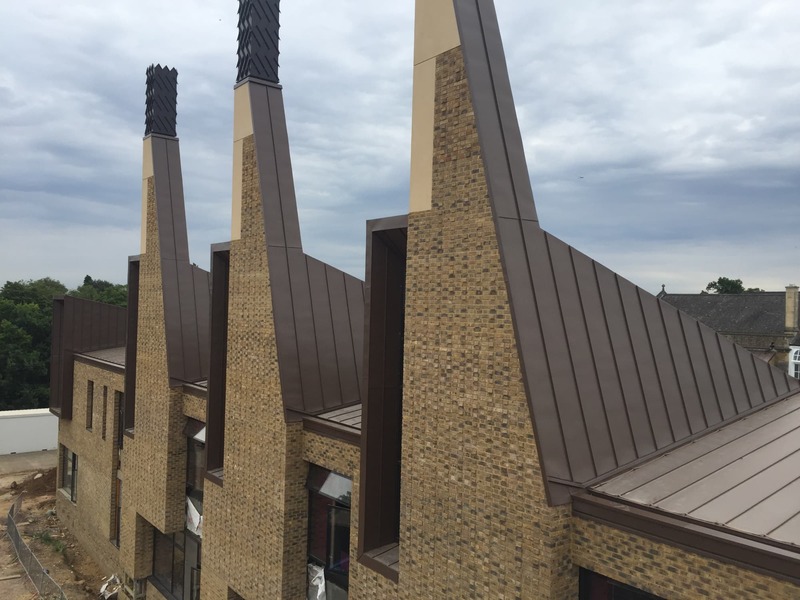 Working closely with the Architect Design Engine and the Principal Contractor Total Construction, we were able to play our part in delivering the picturesque and functional roofing and cladding to the New Science and Mathematics Centre. The usage of contemporary materials installed with traditional mastery provides students with a modern environment of the highest quality. 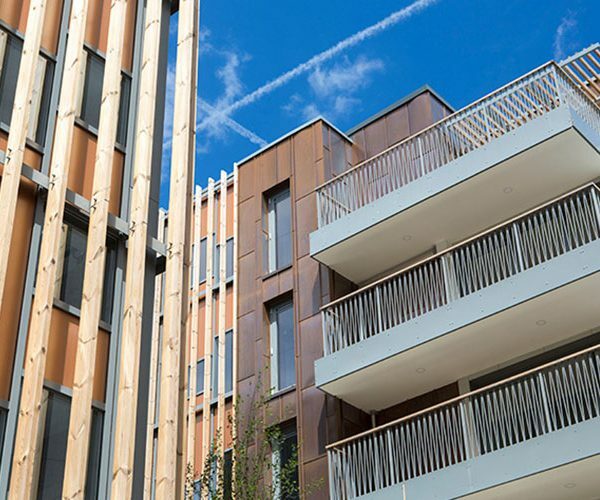 Our Partners at VM Zinc and ALM contributed to our performance with their cooperation and support throughout this project. 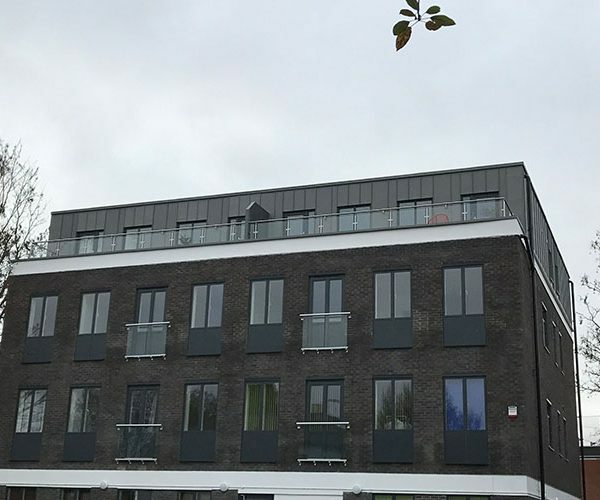 A substantial order value exceeding £280,000.00 comprised of 1200m2 of Roofing and Cladding utilizing 13 different build-ups provides a glimpse of the organisational and logistical demands to perform when tasked with a project of this nature. Following receipt of the tender documents, our experience provided us with the confidence to price a project of this complexity. 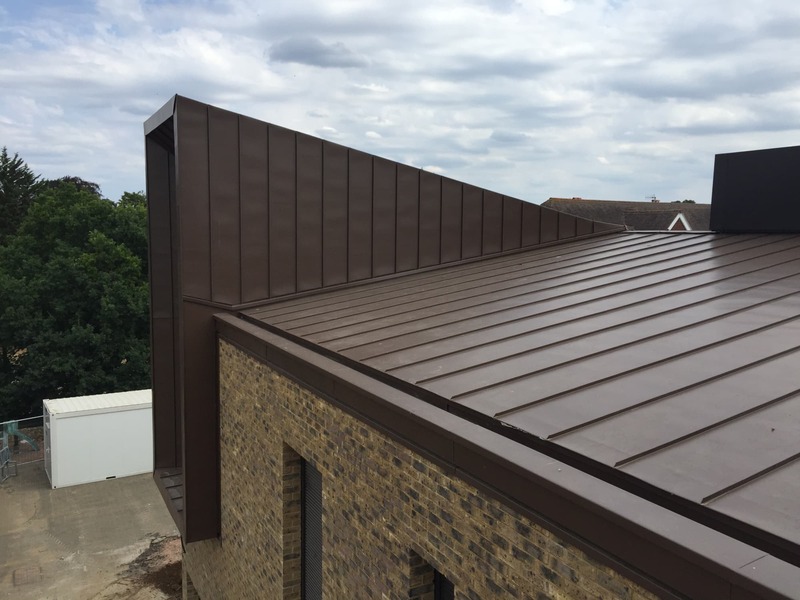 This project comprised of over 1200m2 of Standing Seam Zinc Roofing and Cladding Installed onto Warm Build-Ups, all in conjunction with the VM Zinc manufacture guidelines. 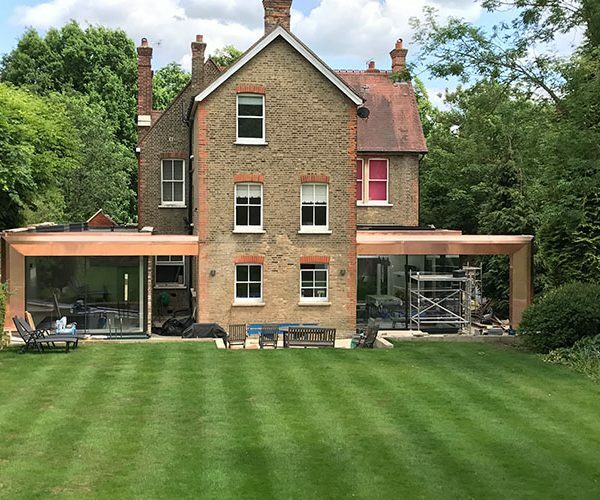 We broke the project down into 17 Roofs and 13 Walls to try and simplify for both ourselves, our onsite team and the principal contractor. 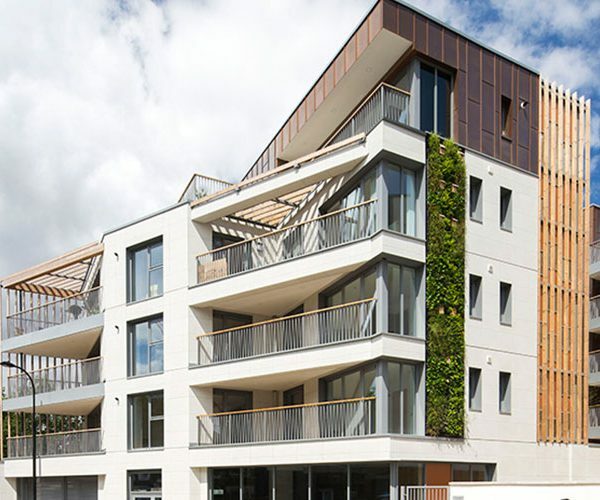 A total of 13 different substrate make-ups with various shapes and sizes meant procurement was a challenging task. 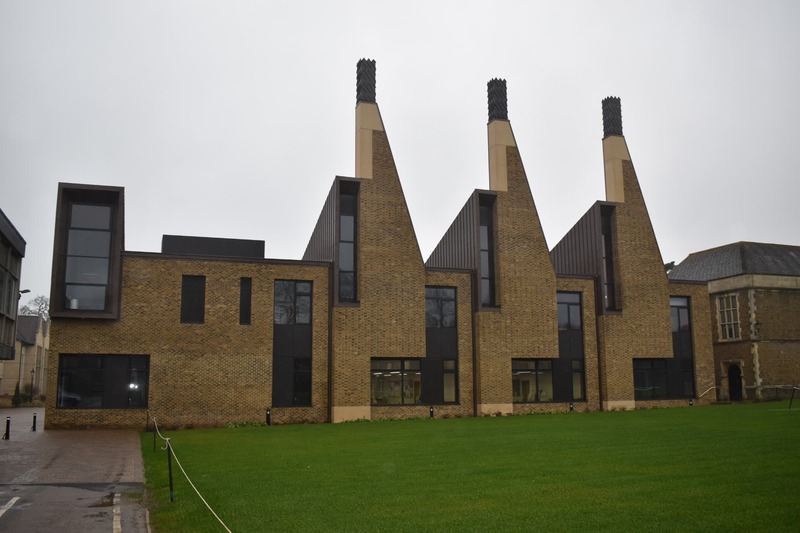 We spent several hours planning the project with our Site Supervisor and the Principal Contractors team to try and make sure our sequence and programme worked with our subcontractors especially bricklayers and internal trades. 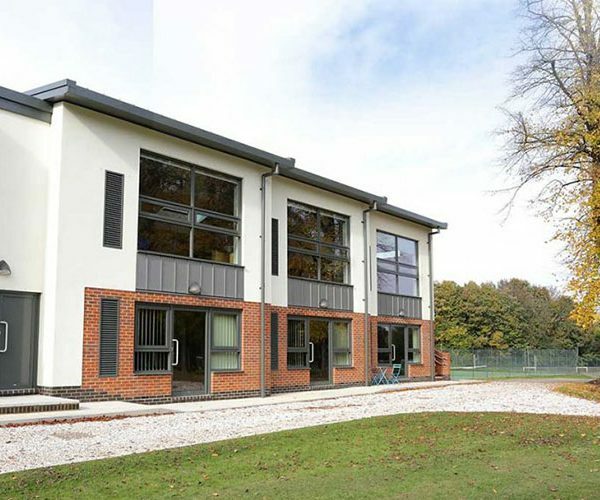 The school grounds were in use throughout the build with classrooms in close proximity meaning we had to be vigilant when completing certain works to prevent noise. 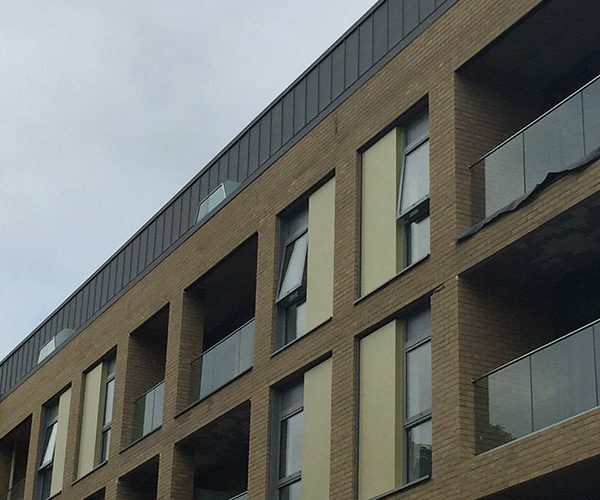 Lifting equipment and delivery time restrictions meant forward planning was regimented to enable smooth installation. 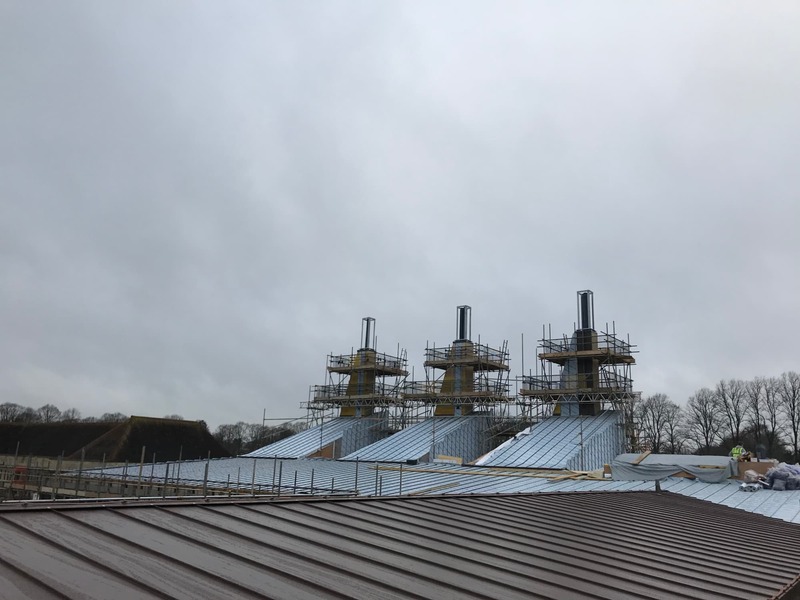 Working on this project throughout the winter months meant weather conditions pr ovided another hurdle to leap over, with frost affecting other trades and health and safety issues we had to make sure our available opportunities to work were productive and beneficial to all involved. 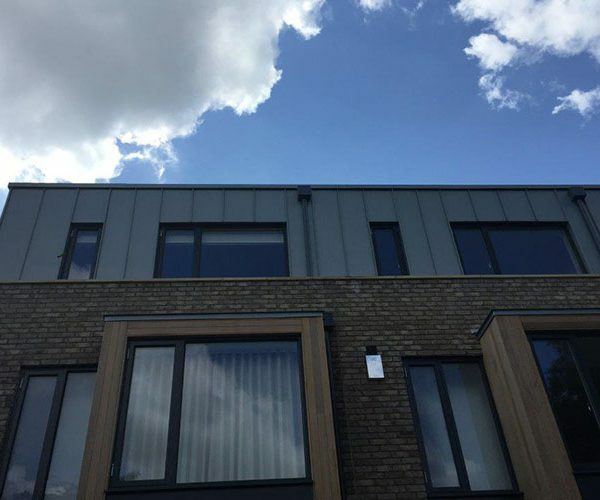 The project was presented to us with a Cross Laminated Timber Framework completed by a carpentry contractor, we started our works by installing a Warmfast Vapour control Layer running horizontally along the eaves of the building using recommended adhesive to stick down. 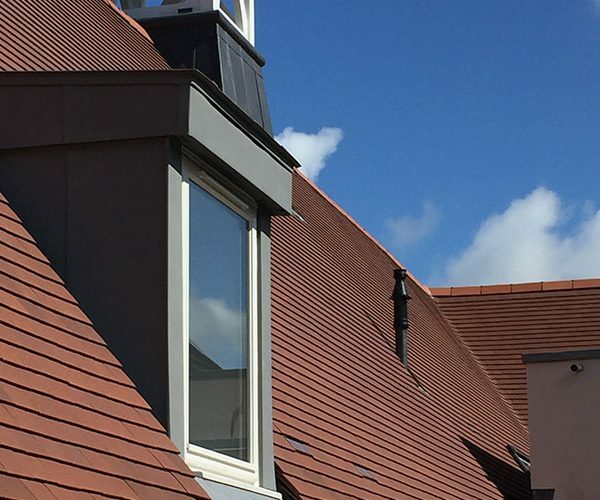 Timber Hard Edges and Gutter Details where covered in VCL to waterproof timber to eliminate water damage, piercing of holes to the bottom of the timber allowed rainwater to escape and prevent building up at the eaves. 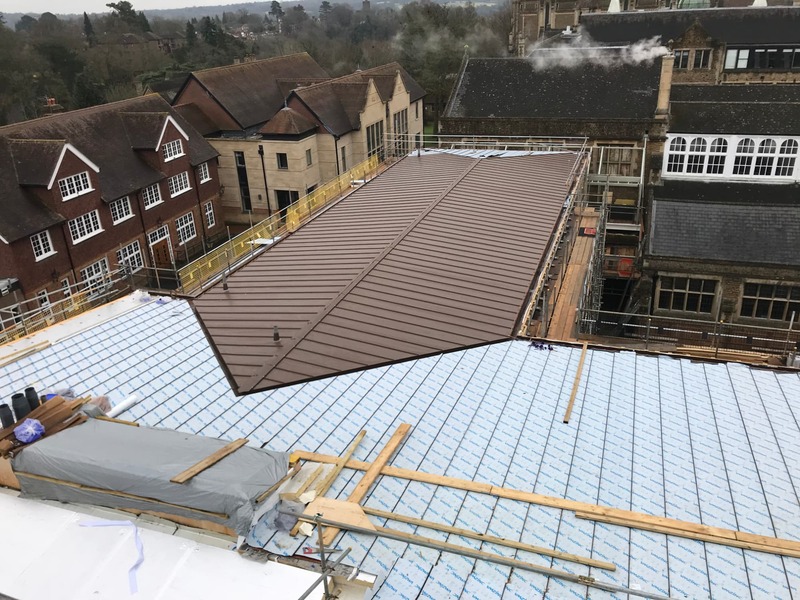 Kingspan Therma Roof Insulation LPC/FM between 200mm and 340mm was plug and screwed to the deck in 2 and 3 board formations with all joints taped. VM Zinc Breather Membrane Pinned Down and Plug and Screwed with plugs taped to avoid water sitting in plugs. 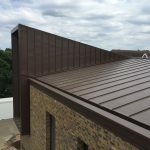 Setting out was a strenuous task with the Architect making clear instructions all Zinc Standing Seam to line up with either other roofing areas or with façade stone/brick areas joints providing aesthetic consistency and continuity throughout. 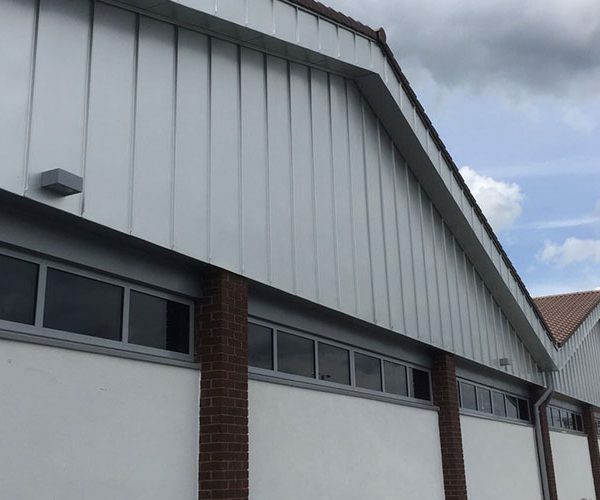 Metal Installation started with Gutter Areas and required Trims and trays fabricated to the required widths and profiles required. 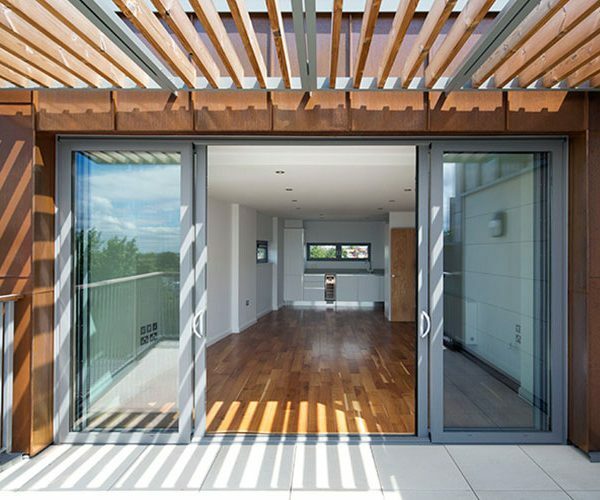 Traditional craftsmanship and experience required to complete certain details and junctions. 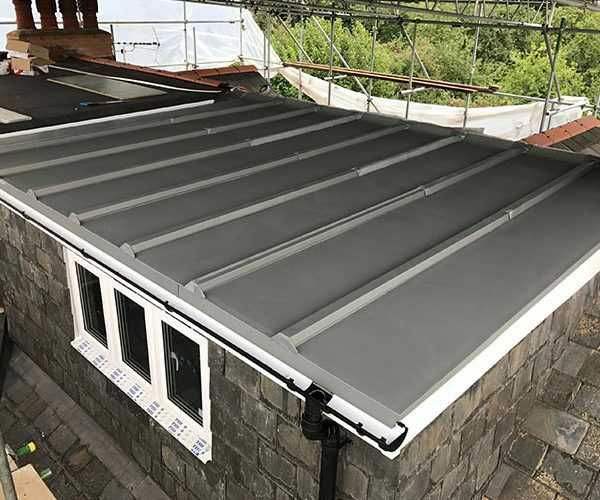 Panels Installed using Warmfast Clips, Plugs and Screws specially made to the sizes required for the larger insulation formations. 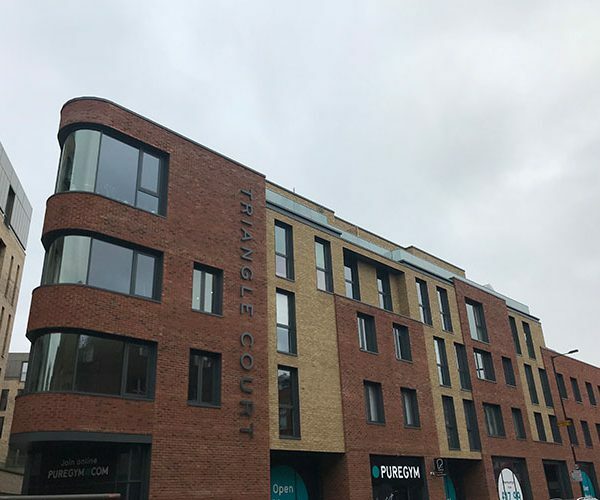 The Termination of Ridge was completed using the VM Zinc G3 system and Feature Channels running horizontally around the perimeter of the building were fabricated in 4 sections and installed to lengths to suit stonework joints below. 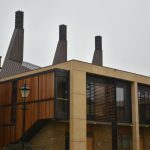 Downpipes where fabricated by Metal Solutions into bespoke rectangular shape again requested by the Architect to fit inside stonework channels. 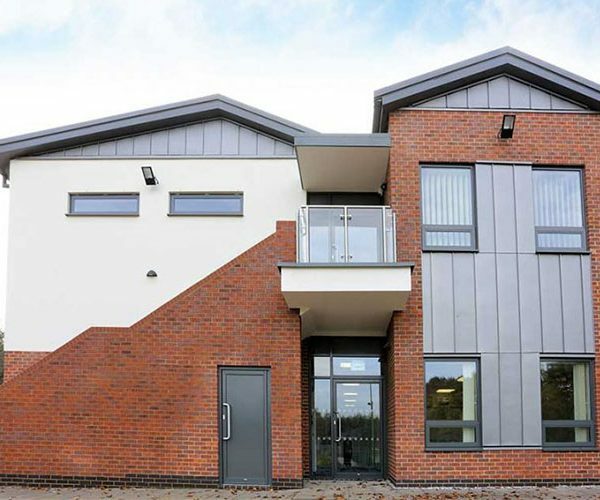 Rainwater Overflows where fabricated by our team and although serve a purpose where an aesthetic detail the architect and the client wanted to match to similar items installed on existing buildings within the school grounds. 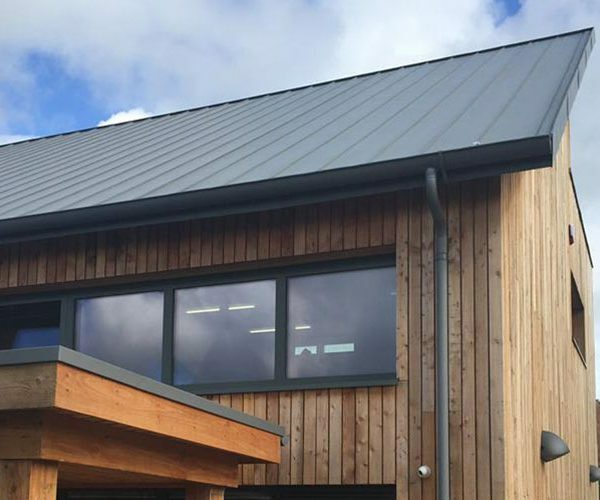 Standing Seam Cladding was installed to Metdeck which comprises of Insulation and Timber to continue the Warm Build Up theme, this also supplied by ALM. 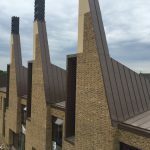 Throughout this project, each roof was inspected and signed off to provide the client with quality assurance of all our workmanship throughout every stage of the project. 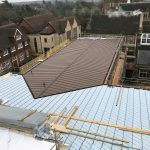 We received the order in June 2017 and started work in October 2017 with a strict deadline that this project had to be signed over for the following school year starting in September 2018. 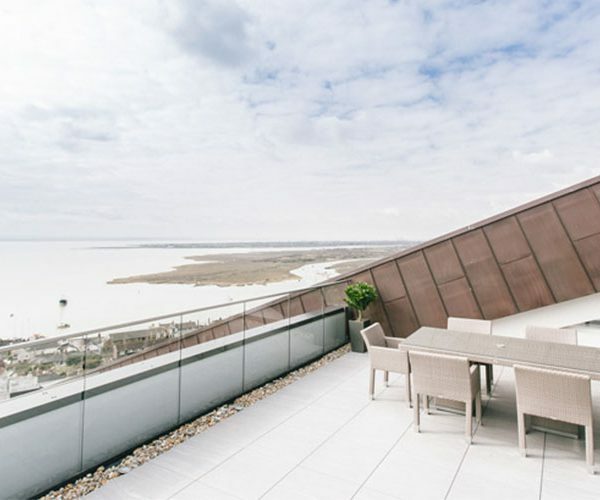 Procurement staring straight away with large orders for Insulation and Metal being placed first due to fluctuating insulation and metal costs during this time period. All ancillary products were purchased in bulk to try and agree better prices to maintain our budget proposals. 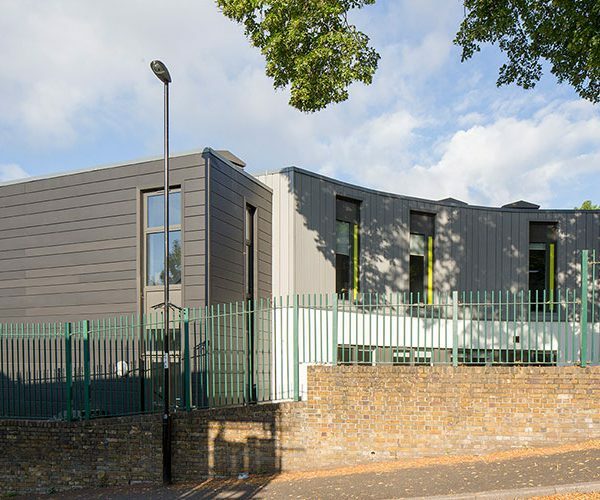 The small footprint of the site and the ever-present students walking around the site hoarding meant there were several logistical challenges with the Insulation being delivered by the Artic Lorry load daily for 5 consecutive days. 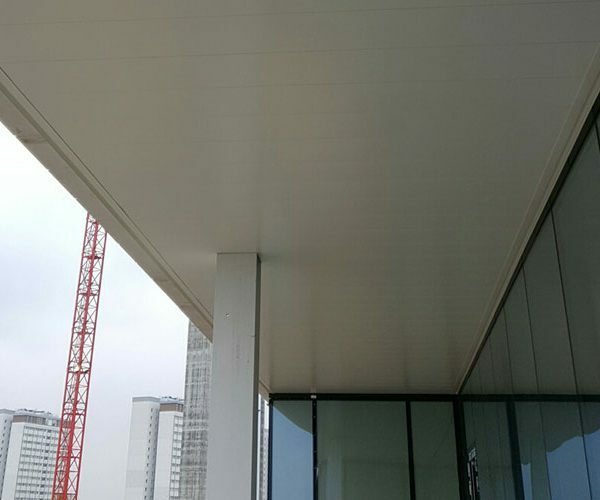 On Site Distribution was met head-on with allocated time slots for Tele-Handler being carefully chosen to make sure our teams could continue works productively. The onsite team for Total construction had a wealth of experience and assisted us greatly when we reached out for their support. Weekly site meetings with Total Construction and Design Engine meant any technical, monetary and progress affairs where ironed out. 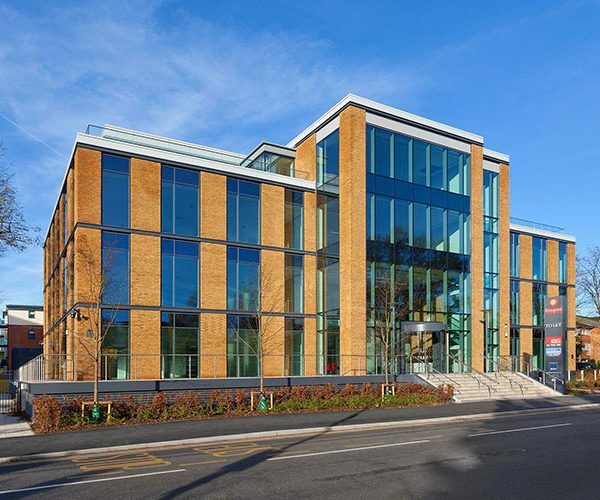 We worked closely with the experienced team at Total Construction to eliminate Health and Safety issues prior to our start, Method Statements and Risk Assessments were finely tuned to the project in hand. 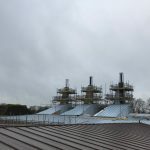 When working on a roof the main risk is, of course, working at height, a perimeter and bespoke scaffolding was installed allowing us to access and egress safely. Hot work permits for soldering activities where completed daily. 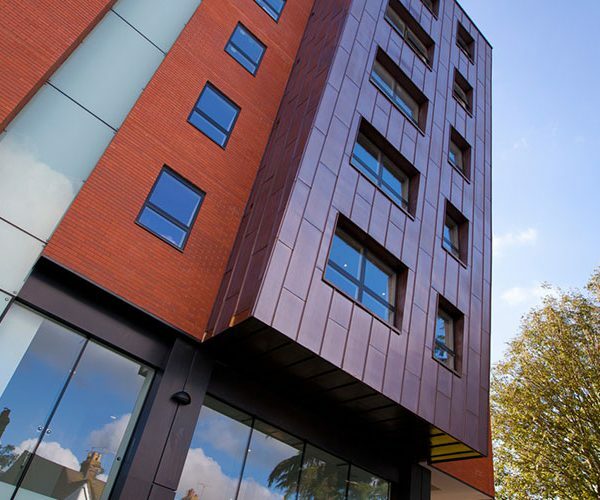 Due to the sheer amount of materials we tried to eliminate waste by using all offcuts on other areas of the project, waste management was controlled by our onsite supervisor daily. Any waste was recycled by a local contractor employed by Total construction. Tool Box Talks on Health and Safety were completed by the contract’s manager weekly. 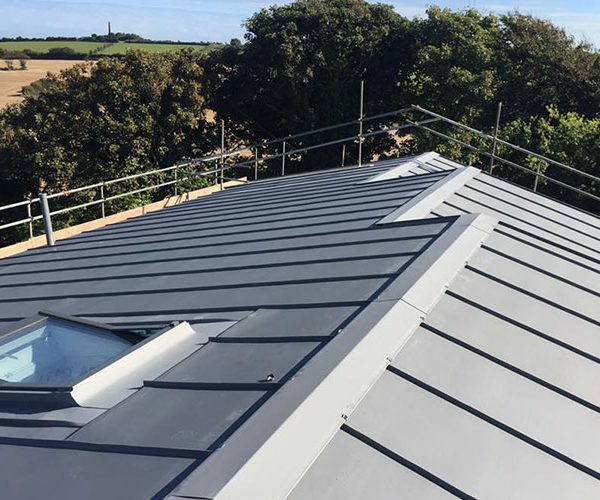 Regular visits completed by VM Zinc provided installation support and reassured us of our competency of the task in hand. 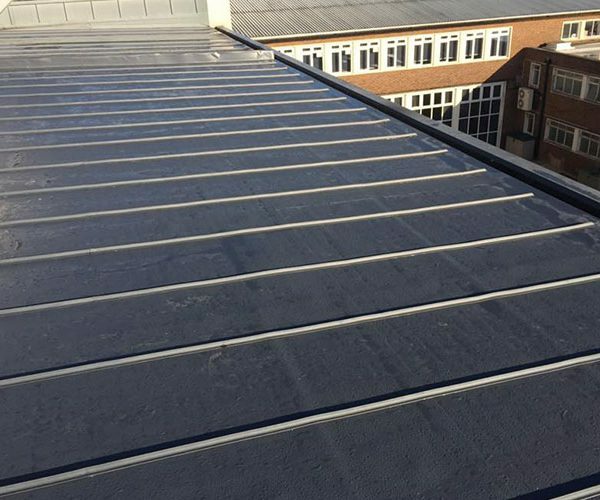 We had new employees start on this project with the basic skills taught to them by our more experienced operatives. 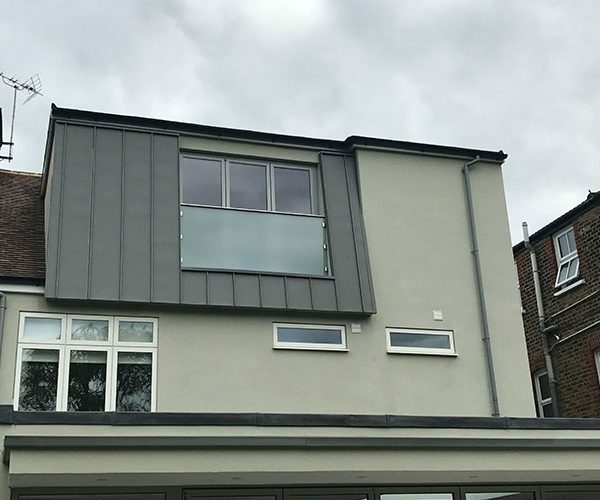 The Architect Design Engine spent several hours on site watching our teams working on some of the more intricate detailing to gain knowledge for future projects specifications and drawings. 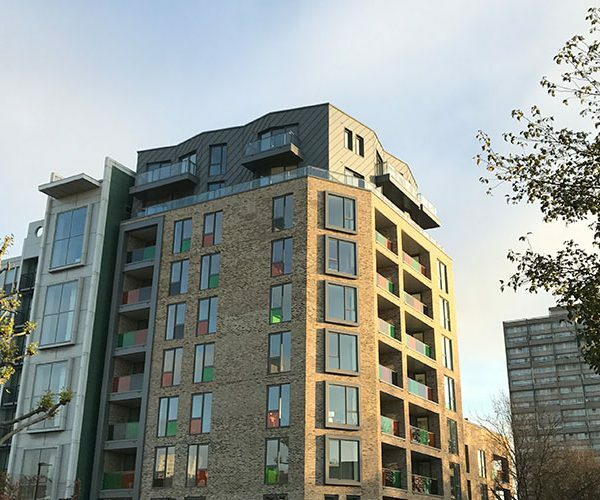 The use of modern products installed in a Traditional Skillset allowed us as a company to rise to the challenge of completing a project of this stature. 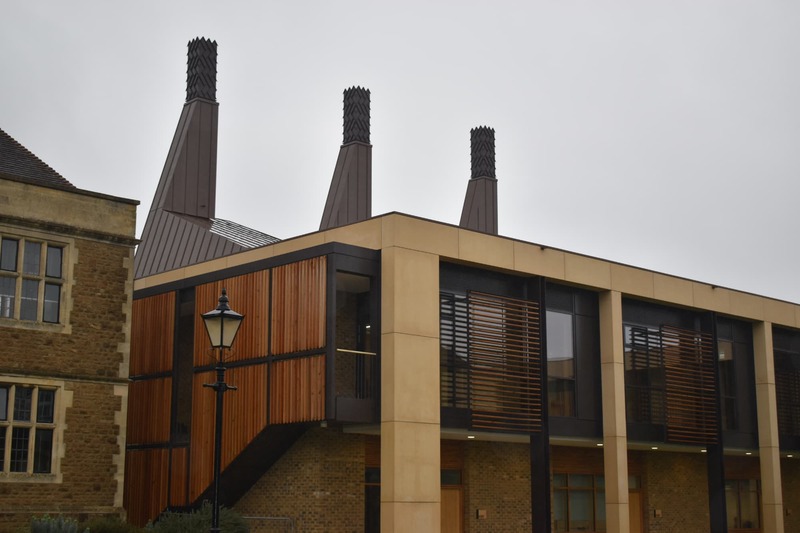 We would like to thank our partners at ALM and VM Zinc for their support, the principal contractor Total Construction for awarding us this project and working with us to overcome challenges and the Architects Design Engine for their vision for a spectacular space for future generations to learn and excel at the prestigious Charterhouse School. 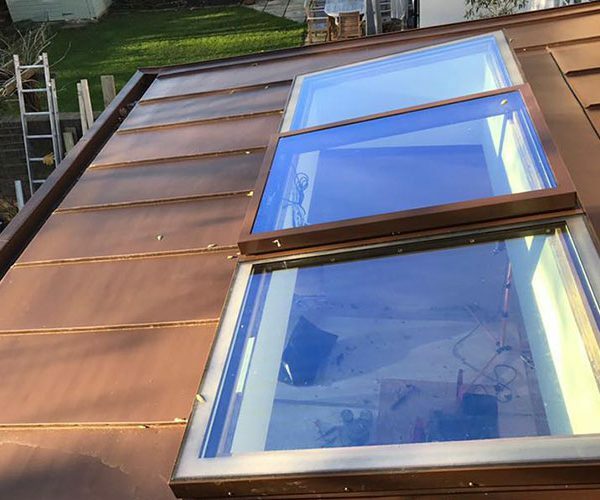 Like the project? 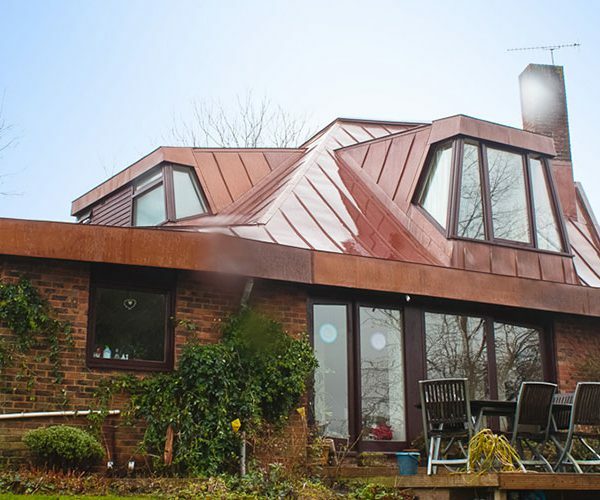 Contact us today to discuss your next roof.